It’s been a little while since I last posted, so I decided to come back with another classic type of post… A recipe. This recipe is called a “Cowboy Casserole” by my two boys, but others may call it a simple sausage casserole. It’s super simple to prepare, and makes for a filling and beautiful belly-warmer of a meal – especially now that it’s starting to get colder! This whole recipe cost me £3.50 to make, and easily serves 4 or 5 people, meaning each serving is between 70p and 87p. What a cracker! Add a splash of oil to a frying pan, and part-fry the sausages. I managed to fit 8 sausages in my pan, so this took me two “goes”. Once the sausages are almost cooked, and are a browny colour, transfer them on to some kitchen roll to remove any excess grease from the pan. Chop each sausage in to a “mouthful” sized piece. I cut each sausage in to four. Leave the cut sausages on your chopping board, and add two tins of baked beans in tomato sauce, the tin of peeled, plum tomatoes, the chilli flakes and paprika to your slow cooker. Add the sausages, and stir the mixture with a large spoon until all the sausages have been coated. 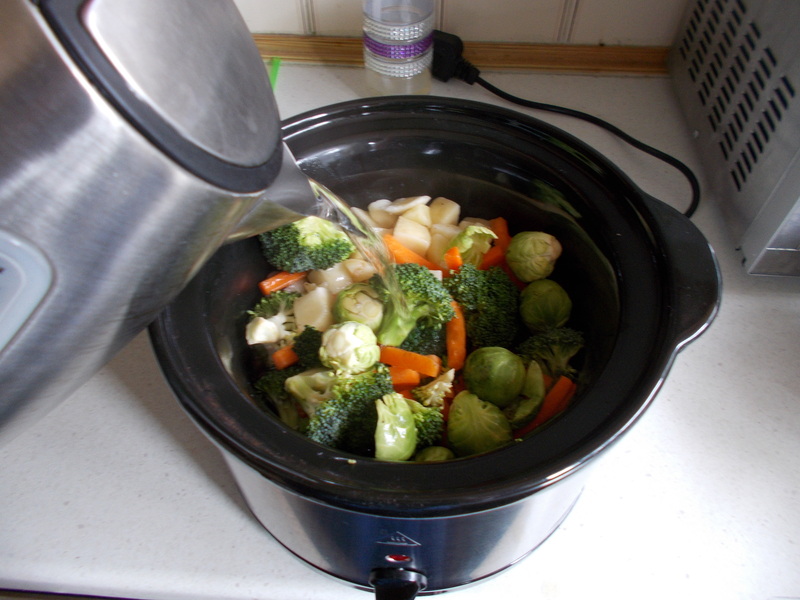 Set your slow cooker to “HIGH”, and set the timer for 5 hours. Don’t forget to put the lid on the slow cooker. You can serve your Cowboy Casserole on its’ own, or (my recommendation) mashed potatoes. 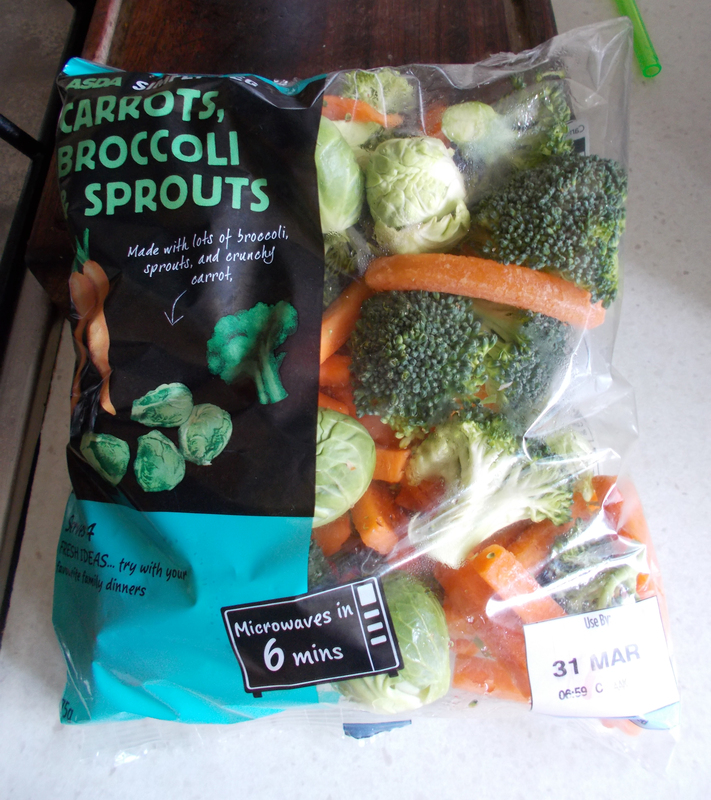 After being informed that I need to increase the iron in my diet, I decided that I would grab a few bags of pre-prepped veg from Asda. 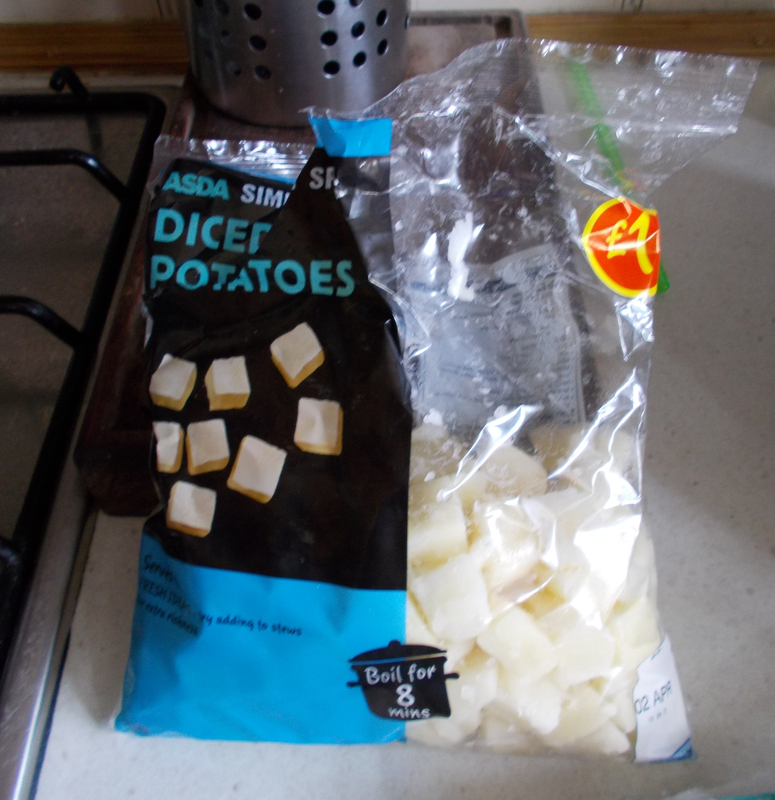 It seemed like a good choice, so I got two bags of diced potatoes, and two bags of broccoli, carrots and sprouts. We used one bag of the mixed veg, and one bag of potatoes on Saturday, to go with a pre-cooked chicken (also from Asda – we were having a bit of a lazy cooking day, ha ha). 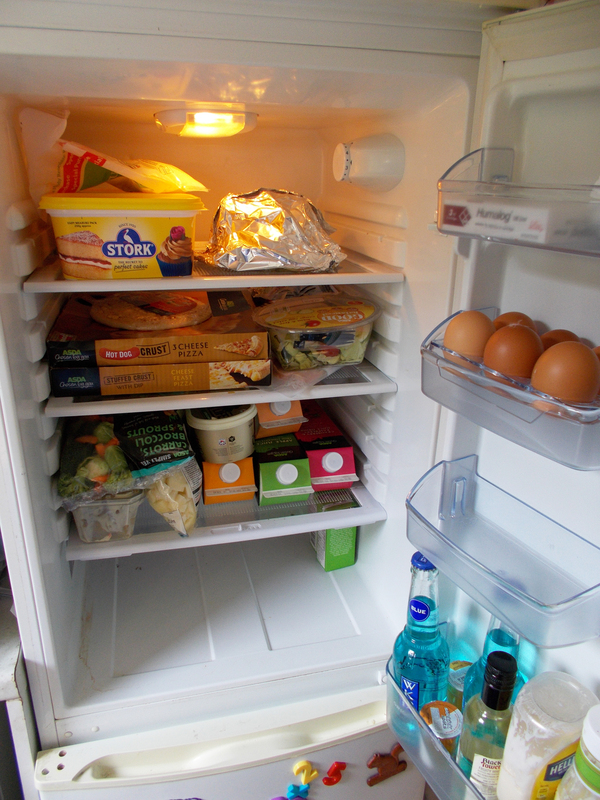 When I got to the fridge, early this afternoon, there was lots in there to feed me, but I realised that I needed to get the veg eaten. 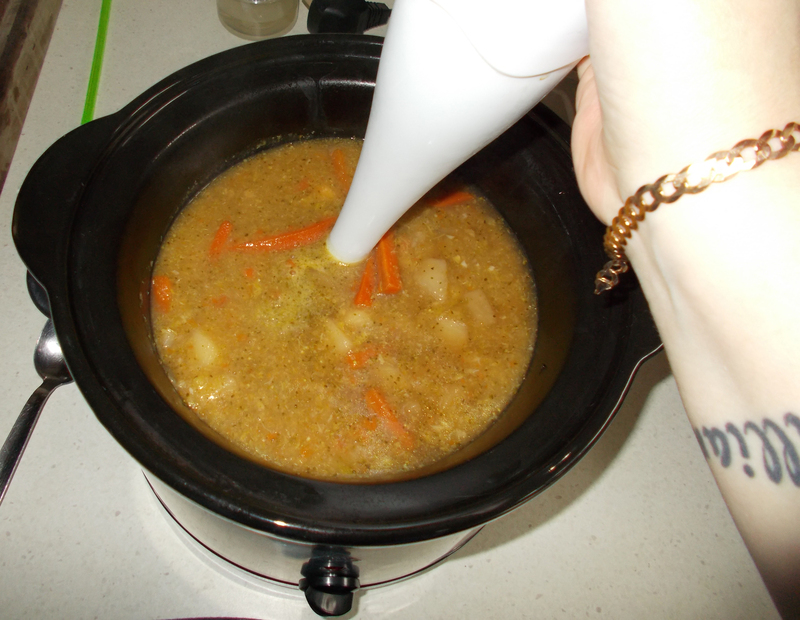 So I decided to make a veggie soup in my slow cooker (please note that this recipe can also be made in a large pan (with lid), so if you don’t have a slow cooker / crock pot, don’t dismay!!). 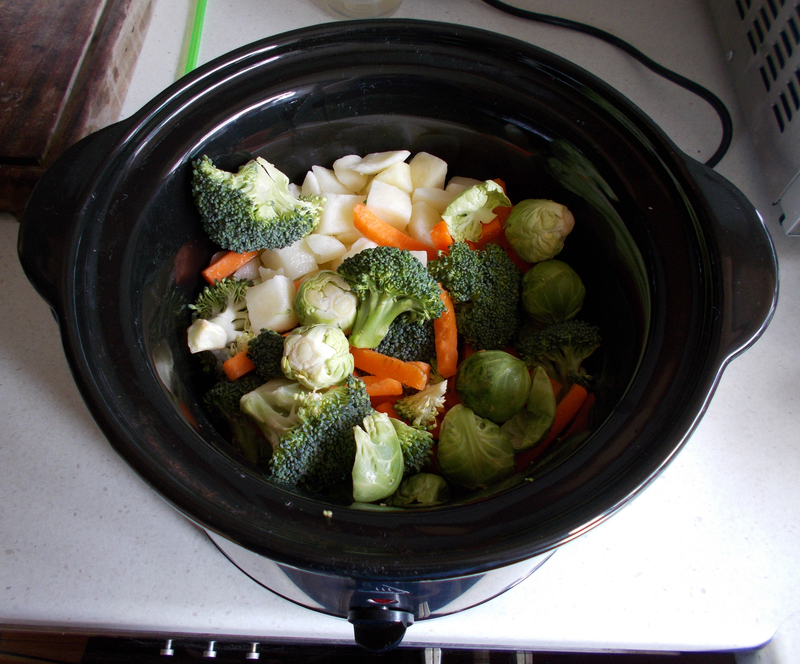 Gather all your veg and throw it all in to your slow cooker / pan. Make up your gravy stock, according to the instructions on the packet. 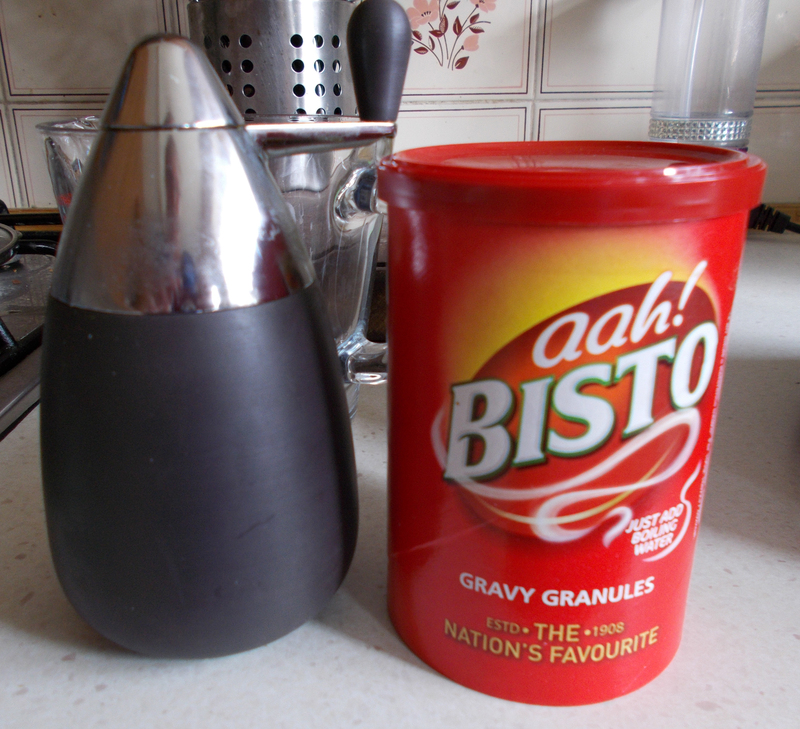 For me, I used four heaped teaspoons of the Bisto beef gravy granules, and topped up the jug with boiling water. 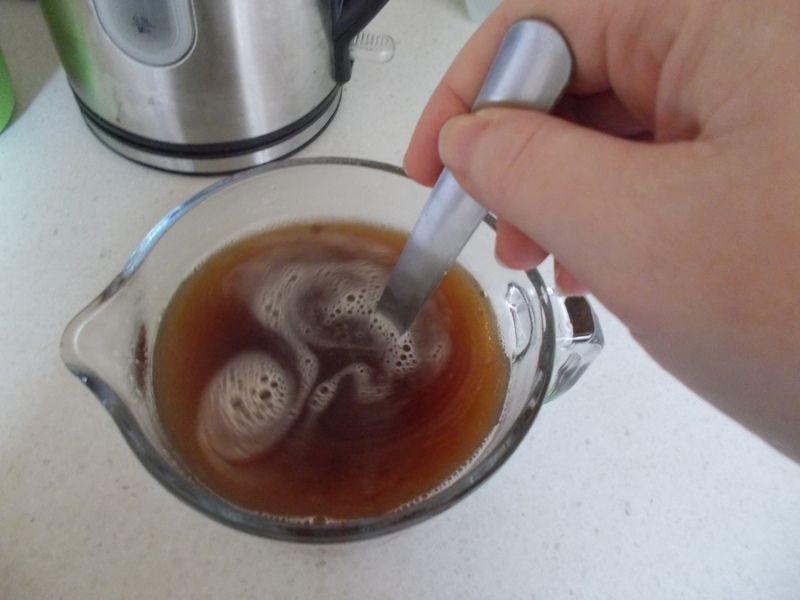 In reality, this wasn’t enough, and was really watery, but I knew that once the potatoes had cooked, and when everything had been blended together at the end, it would soon thicken up. 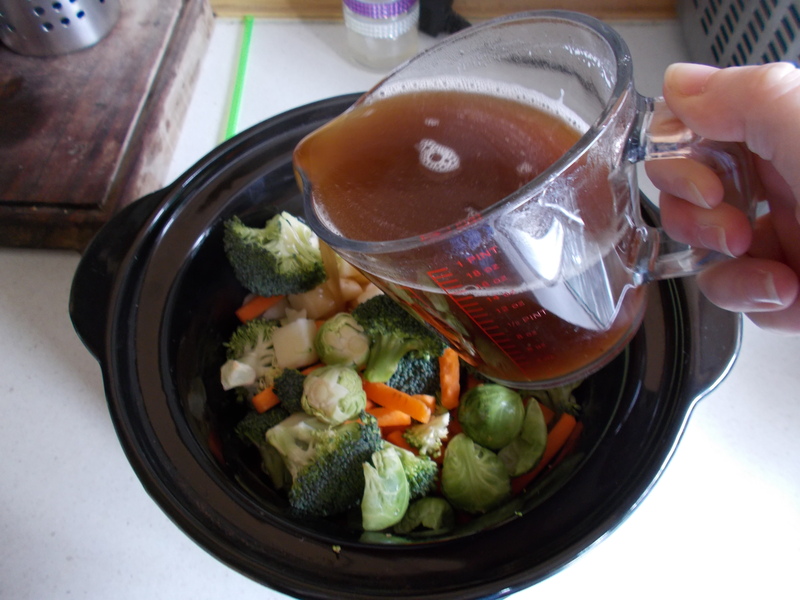 Pour the gravy stock over the veg, and top up with kettle water, ensuring to ‘almost’ cover the veg completely. Add a sprinkling of salt & pepper, and cover with a lid. 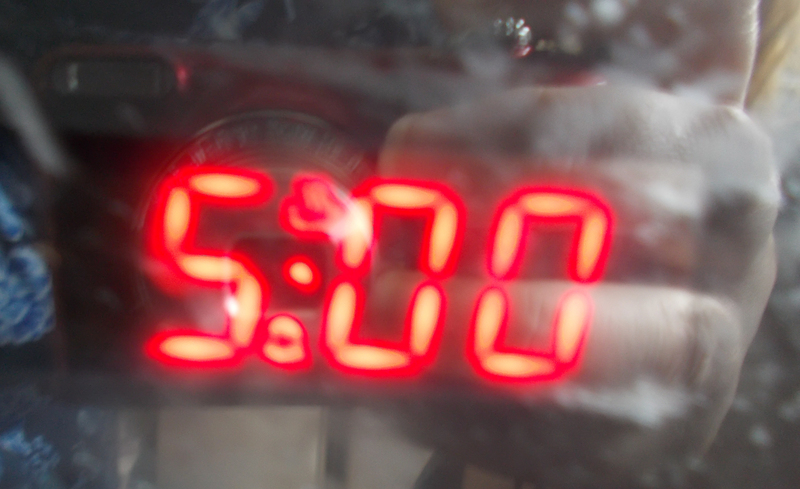 Turn your slow cooker on to “HIGH”, and set your timer for 5 hours. 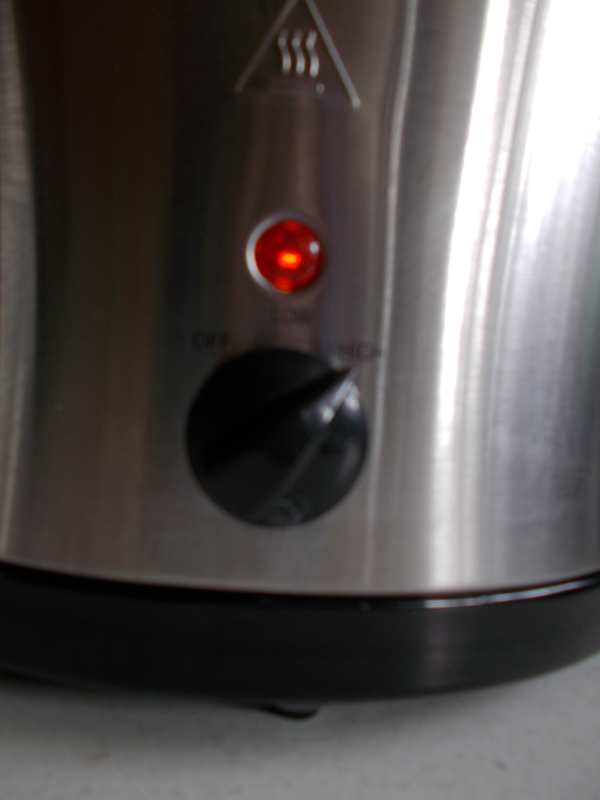 Alternatively, if you’re using the ‘pan on the hob’ technique, bring to the boil, then turn down the heat and allow to simmer for approximately 40 minutes. After this time, check the sprouts (or potatoes) with a sharp knife… The knife should slip right through the veg with no difficulty what-so-ever. When the veg is cooked right through, grab your hand blender, and blend, blend, blend!! 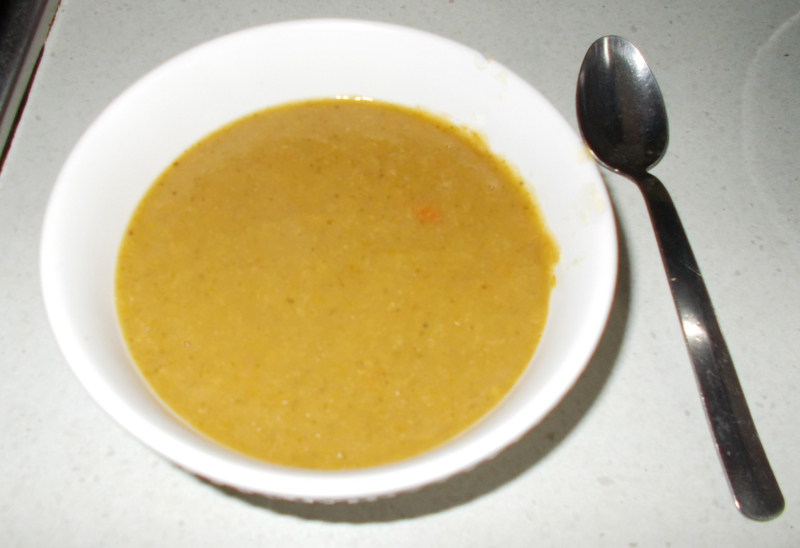 If you like your soup with a few ‘chunks’ of veg in it, just be sure not to blend the soup for too long. 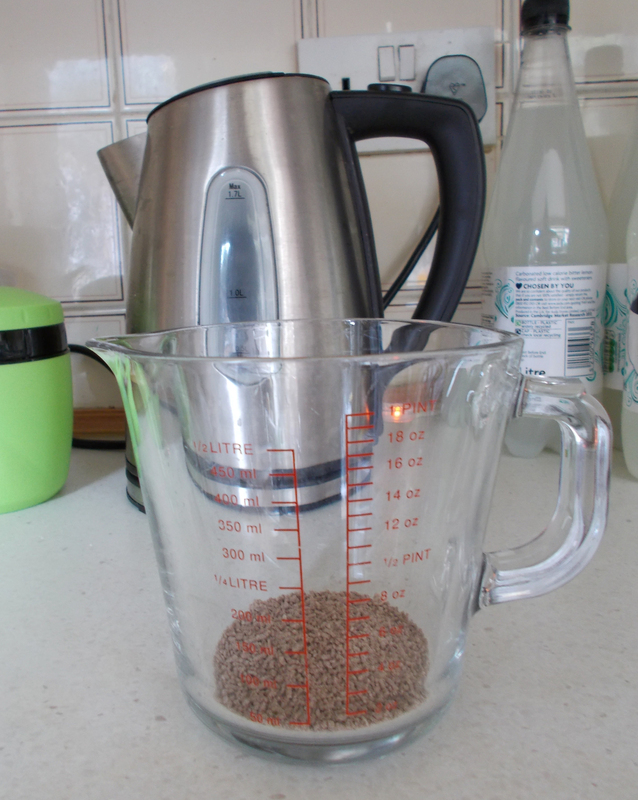 Give it a stir every now and again until you get to the perfect consistency for you. Finally, add a splash (or two) of Tabasco sauce to taste, stir in to the soup, then serve. 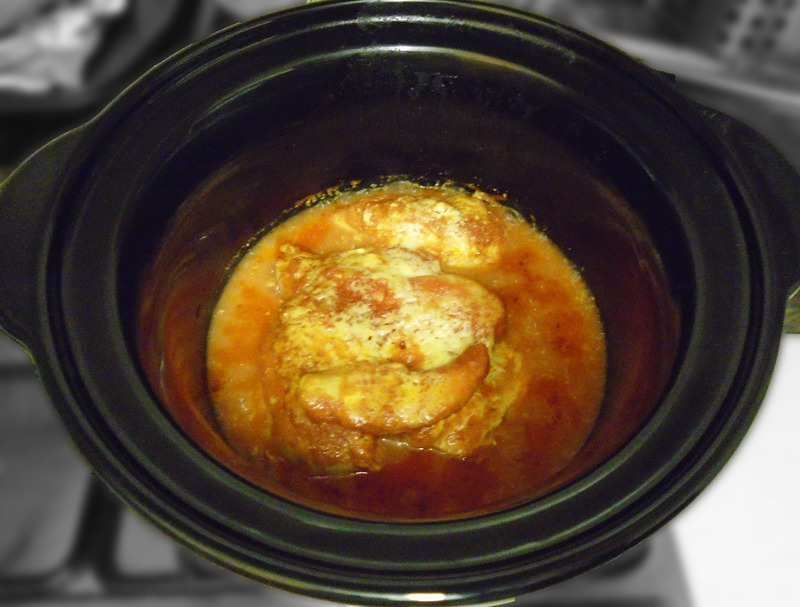 This recipe is slightly different to my Italian Chicken in Tomatoes; where as I used slightly different ingredients, and I cooked this using my slow cooker (crock pot). However, if you don’t have a slow cooker, you can very easily make this in the oven too. 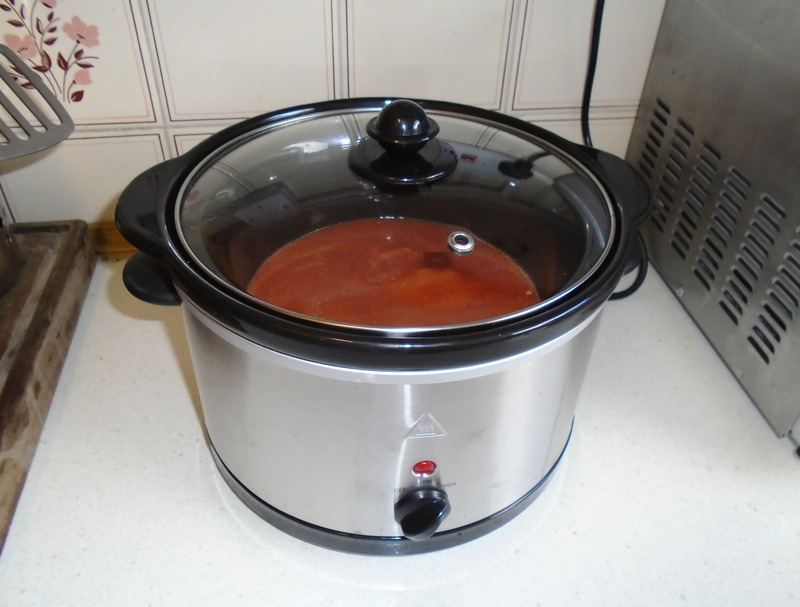 I have included both methods – one for the slow cooker, and the other for the oven. I absolutely, well and truly think that this recipe beats my previous Italian Chicken in Tomatoes. Using a sharp knife, butterfly the chicken breasts (this is when you slice the chicken breast in half, but not all the way through). 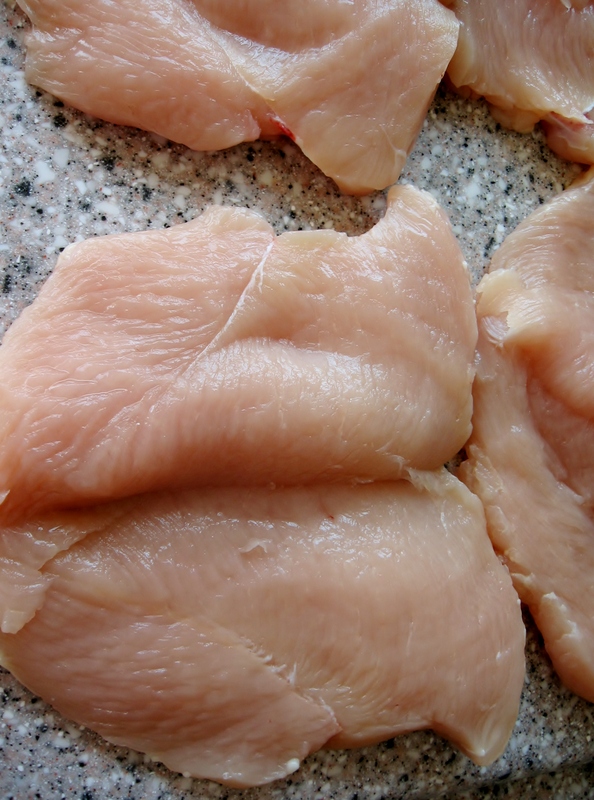 Using a butter knife, spread a “good” quantity of the cream cheese inside the chicken breast, then close it back up. 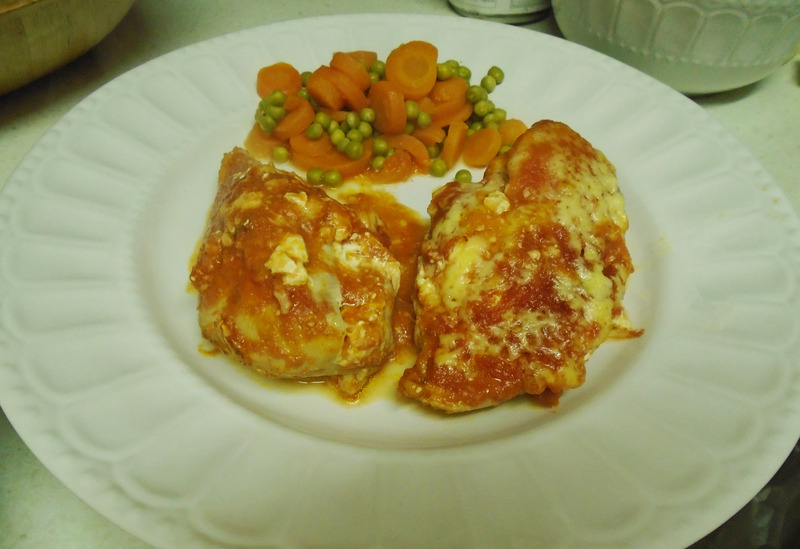 You now have a “stuffed chicken breast”. 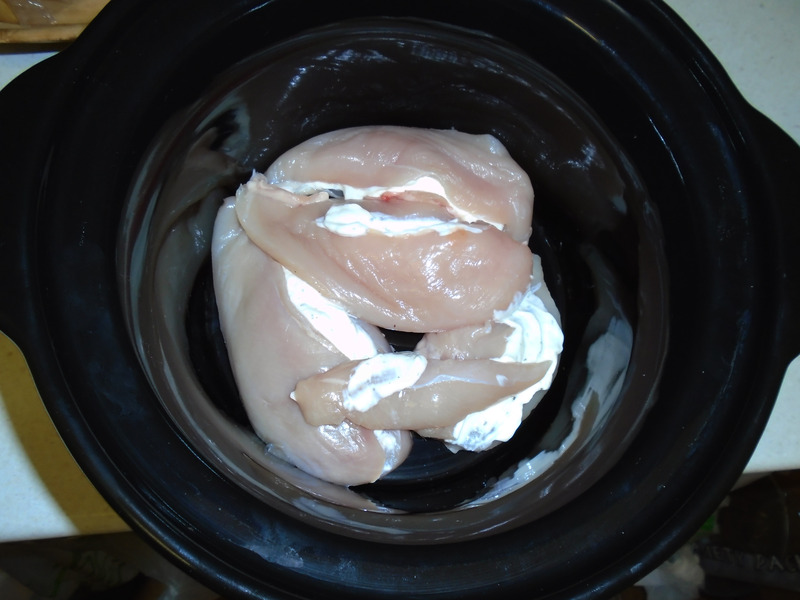 Place the breasts inside the ceramic pot/bowl, inside of the slow cooker; trying not to overlap each piece. In a jug (or bowl), pour the tinned plum tomatoes, and “mush” them up with a fork. If you prefer a smoother sauce, you can blend the tomatoes instead. When you are happy with the consistency of the tomatoes, add the olive oil, paprika, and salt & pepper (to taste). Give a final stir. 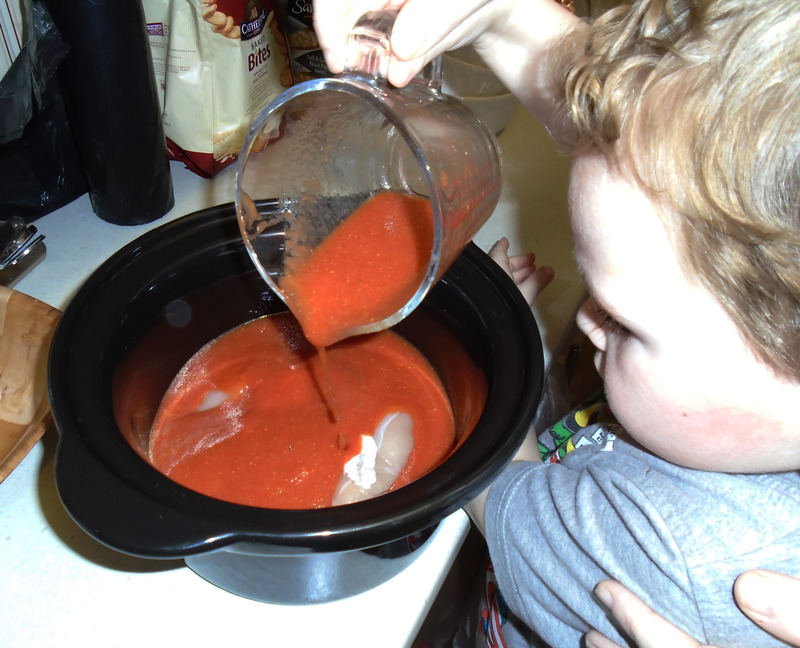 Pour the tomato mixture over the chicken breasts, and place the lid on (I got my son to help me with this). 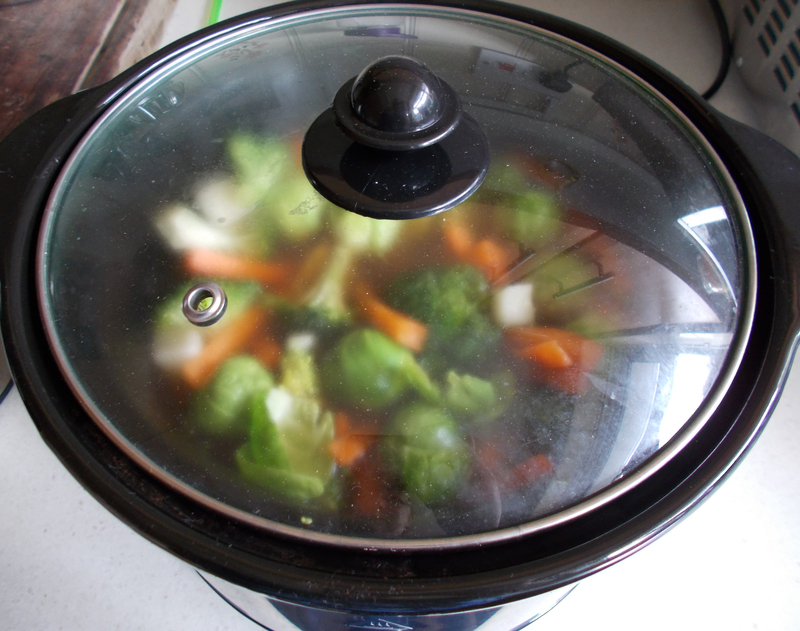 Turn on your slow cooker to “HIGH” for 5 hours, or “LOW” for 8 hours. When there is only approx. 30 minutes to go, carefully lift the lid and sprinkle some grated cheese over the chicken breasts. Replace the lid and allow to continue to cook. Serve with anything you like (veg, potatoes, pasta, rice…). 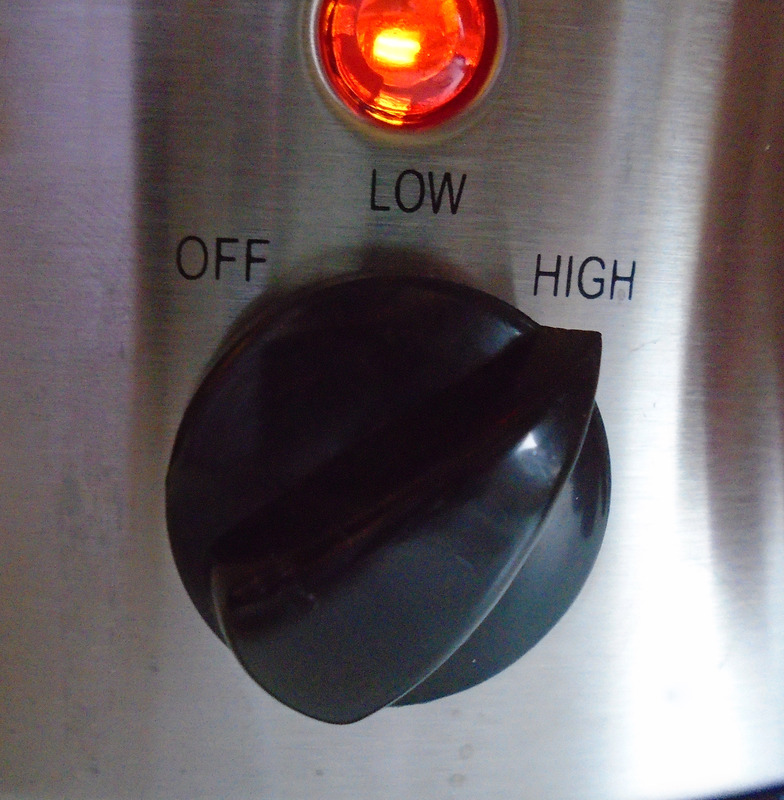 Preheat the oven to 210C (190C for fan assisted ovens). Place the breasts inside an oven proof glass / ceramic dish; trying not to overlap each piece. Pour the tomato mixture over the chicken breasts, place the lid on and place in the centre of the oven for 30 minutes. When the time is up, sprinkle the grated cheese over the breasts, replace the lid, and cook for a further 30 minutes.